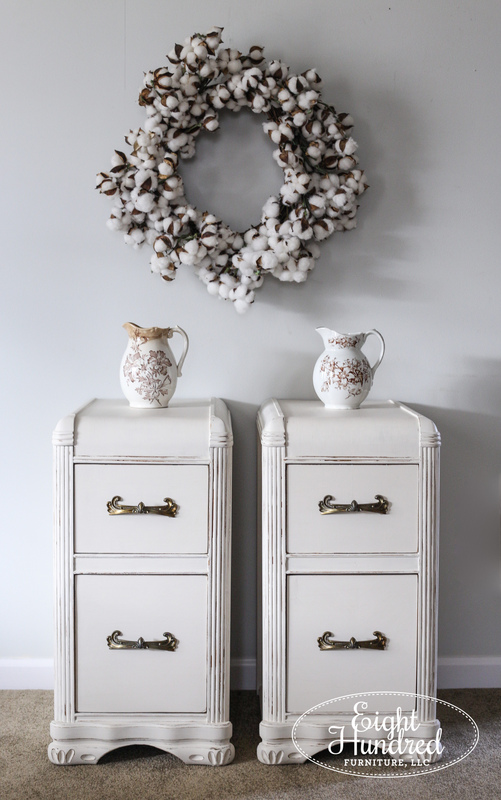 Back at the beginning of December, I found a gorgeous vintage vanity on Facebook Marketplace. I wasn’t interested in the vanity as a whole piece, but rather the two sides. My Dad and I picked up the piece and separated the two sides from the body. They were in pretty good shape structurally, but they needed some cosmetic work on the sides. Because we separated them from the body, there was a big gap in the back that needed to be closed up and there was some patching that needed to be done with wood putty on the sides. 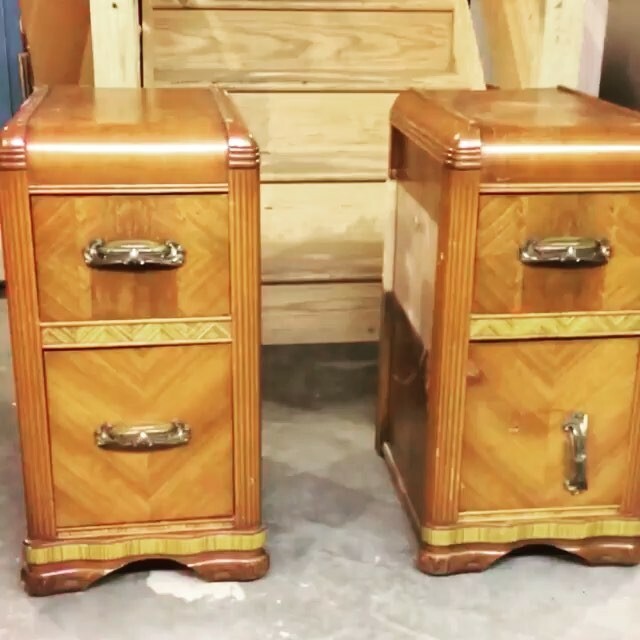 These nightstands actually sat in my basement workshop for almost 3months before I dragged them out to give them their long overdue makeover. I had every intention of working on them, but because they needed so much repair work on the outside, they kept getting pushed to the back of the pile. Once I made up my mind to work on them, I began by getting my Dad to help me cut out two pieces of wood to fill up the gaps in the back. You can kind of see what I mean in this photo. 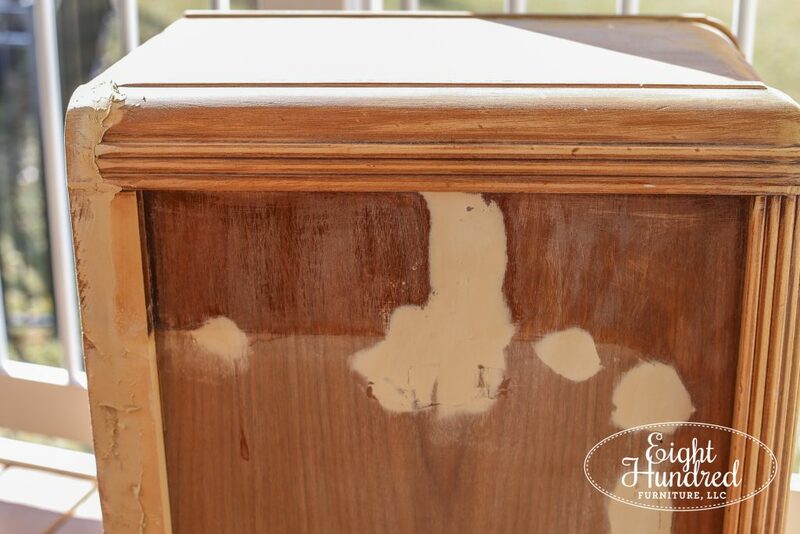 That top right piece of wood wasn’t there originally. That’s where the back sat, and since we separated the two pieces from the main body, it was wide open. The piece of wood it was patched with actually came from the body we cut away, so it kind of worked out! I filled the gap on the top and all of the holes on the sides with wood putty. Using my orbital sander, I sanded everything smooth once the wood putty was dried. 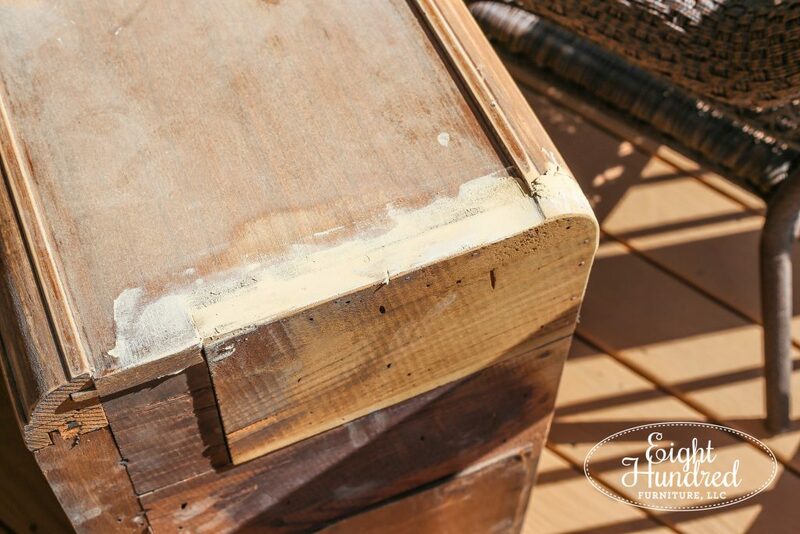 I also had some dresser drawers for another project that needed to be sanded, so it was kind of an all-out sanding day! 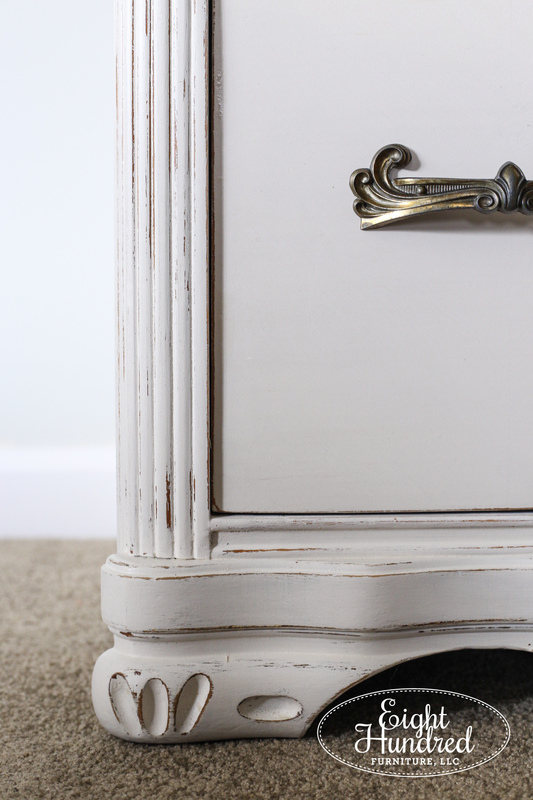 Once the nightstands were all fixed up, smooth, and even, it was time to decide on a paint color. I was trying to decide what color would work well with the original handles. I took those horrid orange covers off the handles and kept the beautiful metal part. Aren’t they so pretty? I was thinking about navy, but I’ve been doing a lot of navy furniture lately and I wanted to pick something on the lighter side. 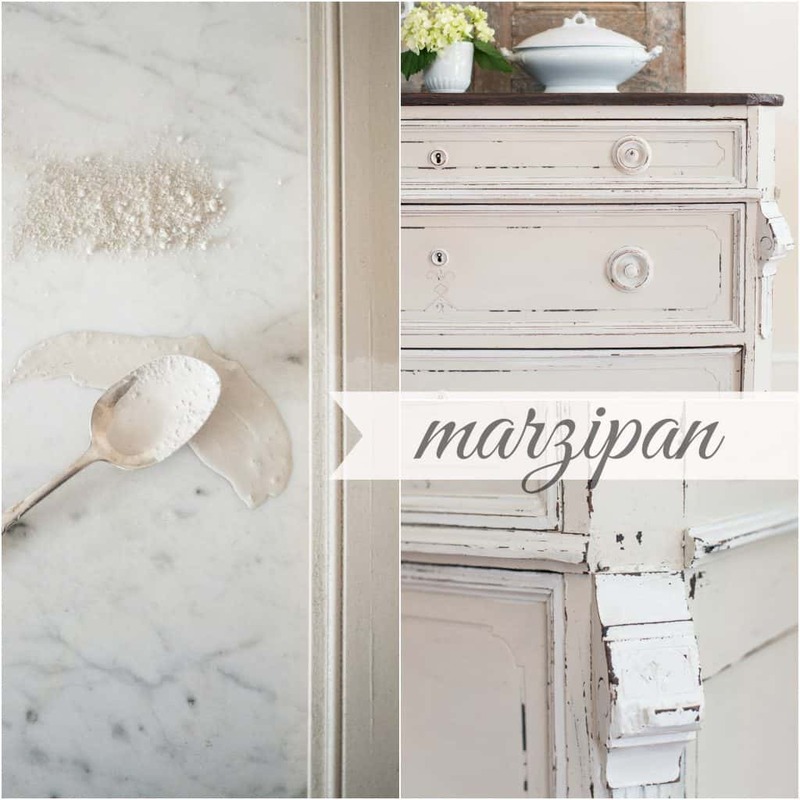 In the end, I mixed up equal parts Miss Mustard Seed’s “Marzipan” and “Ironstone”. 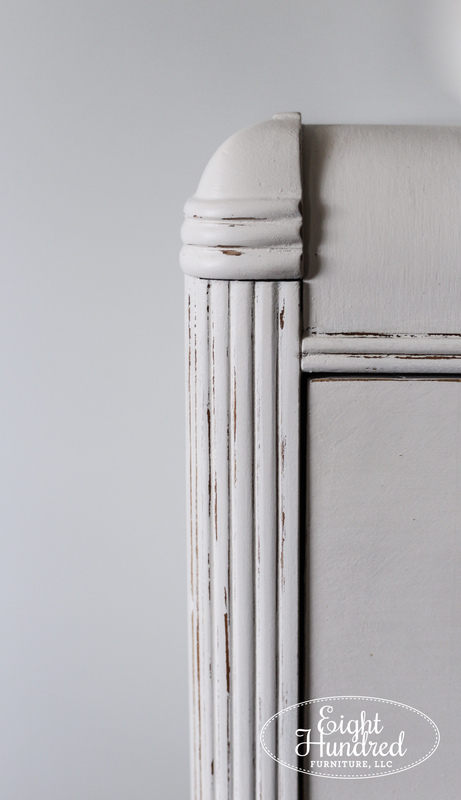 Marzipan is a warm almond color from the European Collection in the MMS Milk Paint line. 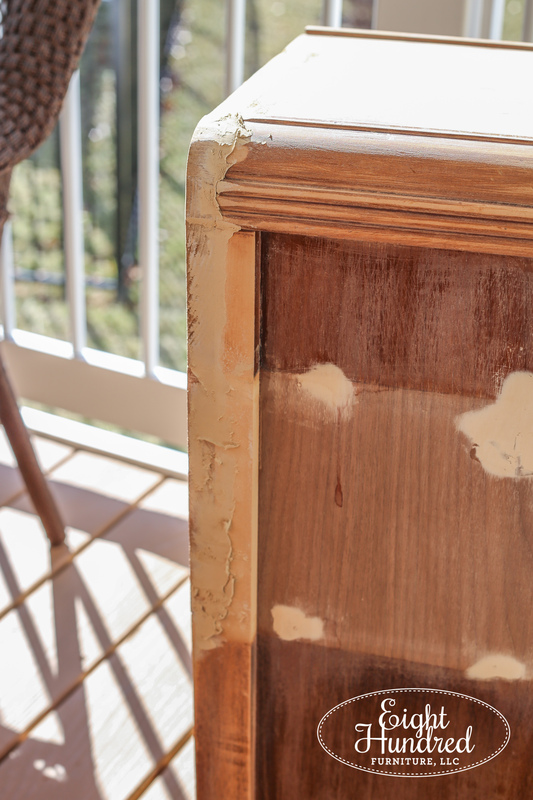 It’s soft, inviting, and so much fun to paint with. 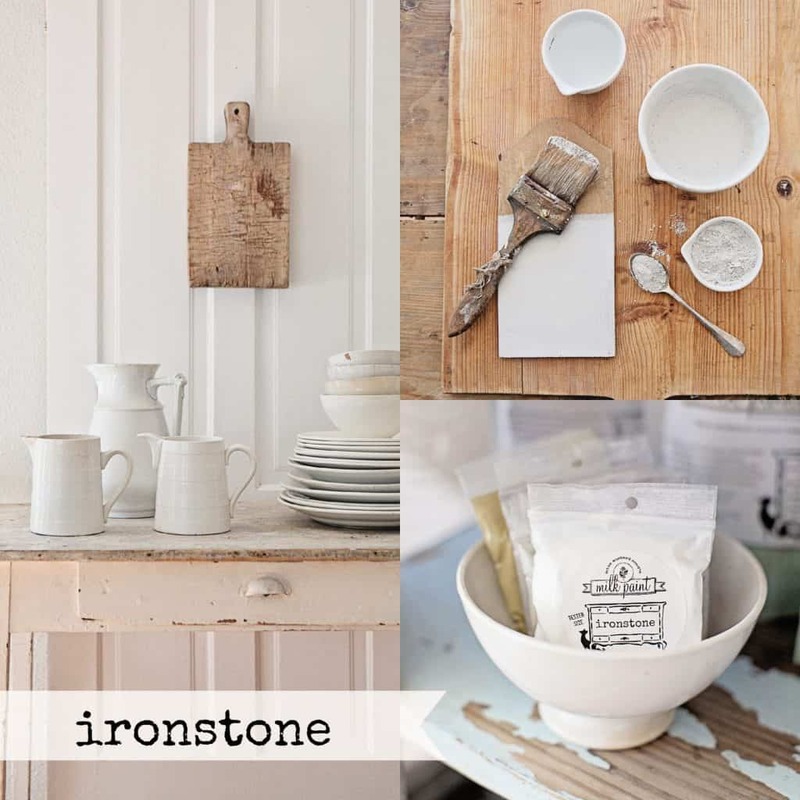 Ironstone was the whitest white in the line before Farmhouse White came on board. Now, it’s more of an off white color with a slightly cool cast. 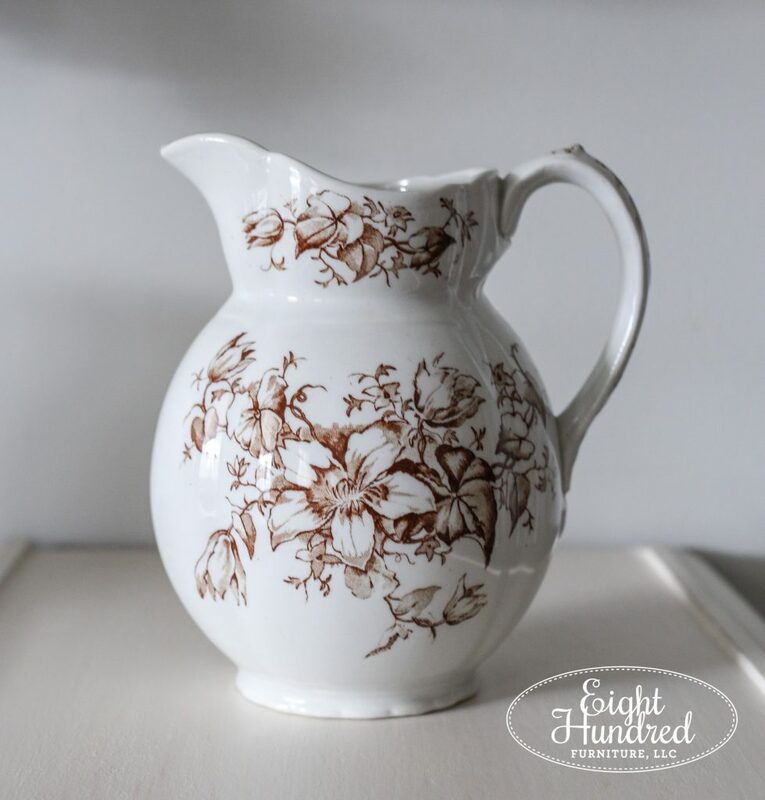 It’s named after the color of the earthenware that Marian Parsons (aka Miss Mustard Seed) loves to collect. This mixture created a light beige that reminded me of the threads of thick crocheted blankets, fluffy scarves, and suede boots. 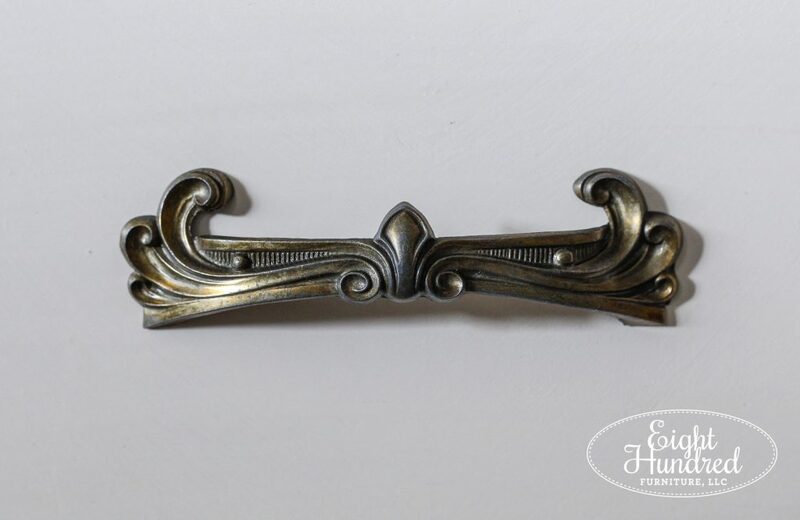 They’re definitely light in color, but they have a warm undertone that plays nicely with those gorgeous metal handles. 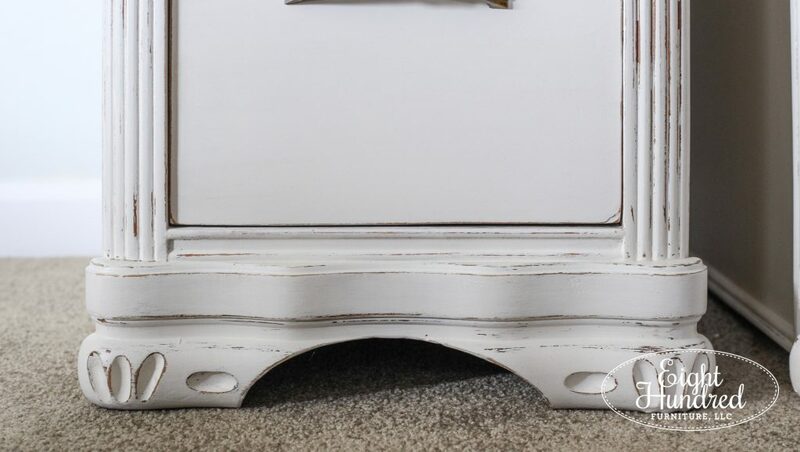 The shape of these nightstands is so interesting to me. There are soft curves set right next to sharp angles. 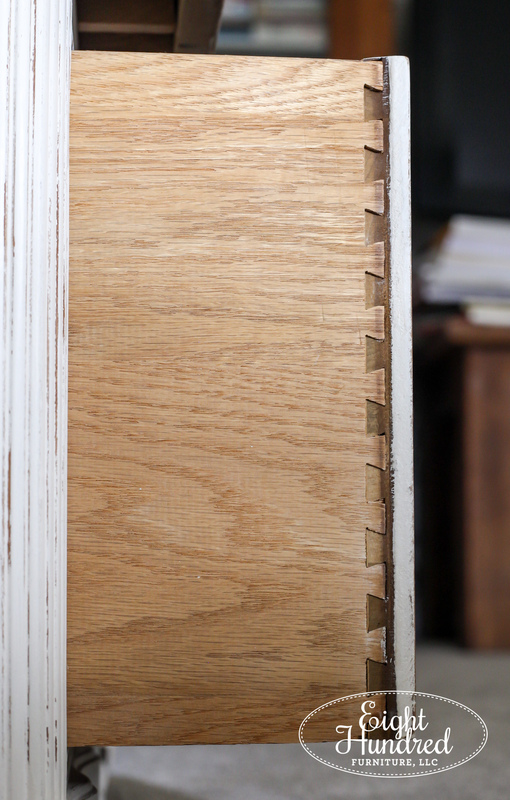 As per usual, I kept the paint away from the dovetail joints on the drawers. 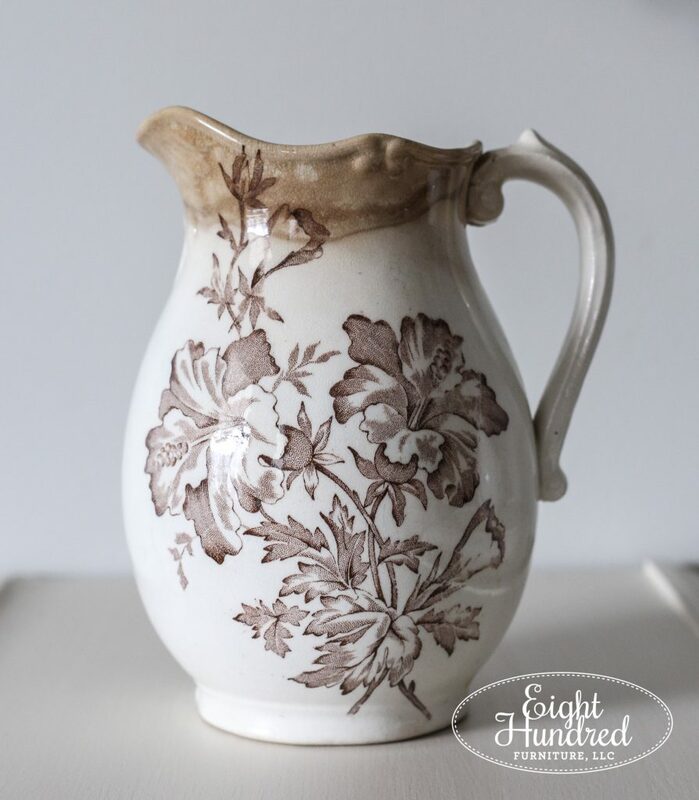 To stage these two, I had a perfect “almost” matching set of ironstone pitchers with a brown transferware pattern. 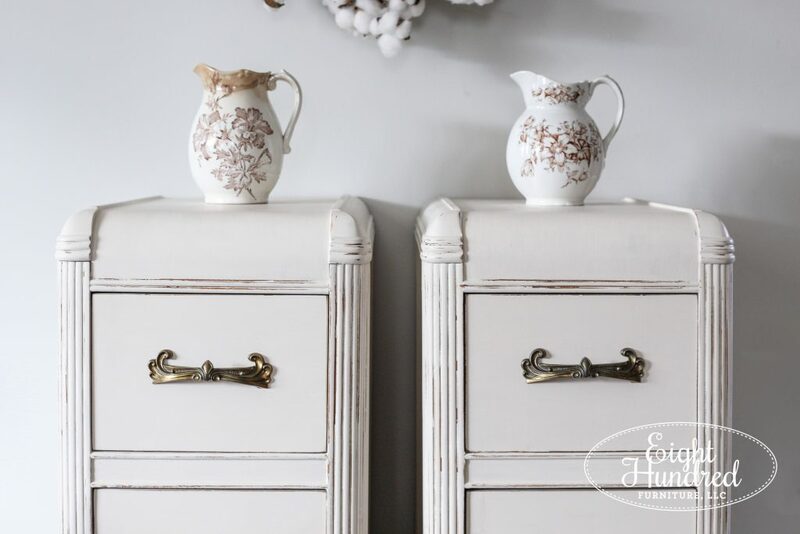 One is clearly more aged than the other, but I thought they were a good duo to compliment the twin nightstands! Here’s a closeup of the aging around the rim of the one on the left. Isn’t it pretty? And here’s the second. The shape is a bit different but it’s so close, don’t you think? 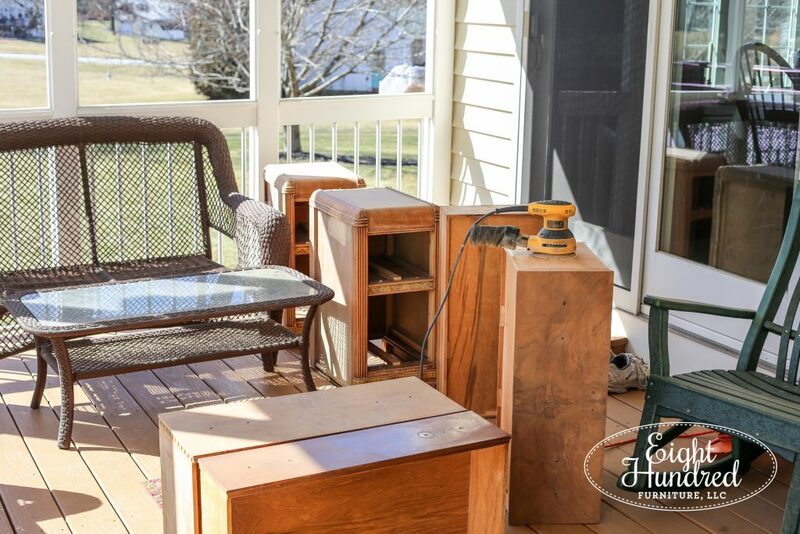 These nightstands are coming with me to the Spring Barn Market Sale at Pheasant Run Antiques on Saturday, April 28th! The market will run from 10:00 AM – 5:00 PM and is a one day event. 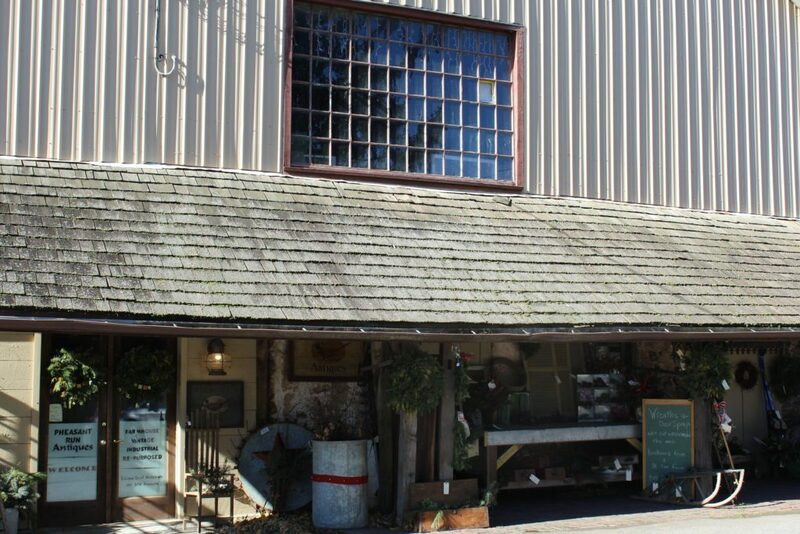 I’ll be one of many vendors who will have tents and booths set up on the grounds at Pheasant Run Antiques. It’s conveniently located just down from the intersection of Route 30 and Route 10 in Parkesburg, PA, so it’s easy to get to from all directions! This will be my first antique-specific market event, so I’m pretty jazzed to see how everything will play out. I think I may have been a bit over zealous because I signed up to stage a 10 x 20 tent space! Most of the furniture I have to paint is on the larger size, so I’m hoping that I’ll fill it up quickly! Stay tuned over the days and weeks leading up to the event to see what else I’ll be bringing with me!